NSPCA Volunteers are leaving, two volunteers suffered from serious dog bites. Conditions included leaking roof and sewage hoses running through kennels. LAS VEGAS (KTNV) — UPDATE: Running a no-kill animal shelter is admirable work we regularly support here at channel 13. But when a nonprofit asks the public for money, it comes with responsibility and accountability. And that's where things start to fall apart for the Nevada SPCA. 13 Chief Investigator Darcy Spears first exposed concerns with the valley's best-known no-kill shelter in November. Tonight, she's digging deeper following a money trail that appears to be paved with secrets. Volunteers from years past and those still there today have the same questions and very few answers. All of them share the same concerns--a dilapidated shelter, poor conditions and ongoing promises of new construction. NSPCA claims to have the funds. So where's the new building? 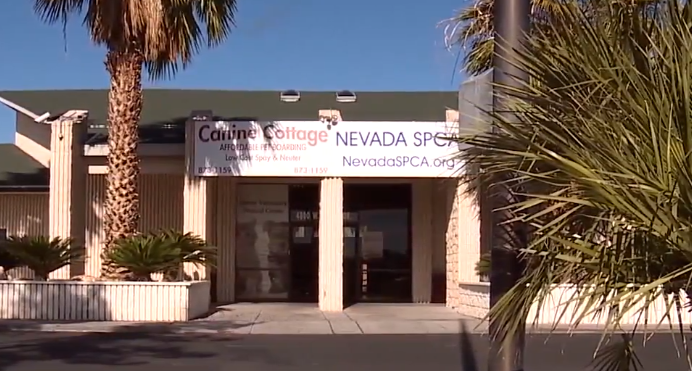 13 investigates has been following the money trail for months at the Nevada Society for the Prevention of Cruelty to Animals. The non-profit no-kill shelter relies on donations and has been promising for at least six years that a new facility would soon replace the 40-year-old building on Dewey Drive. They house hundreds of animals there and have done patchwork fixes to a leaky roof, run-down kennels and a failing sewage system. Kara Matthews, who recently left the shelter after volunteering there for the past six years, said, "We donate all this money to help these animals medically, behaviorally--in every way that we can--and they're coming up short." Money is not short according to NSPCA President Kathy Jung. "No, money is not the issue," she told Darcy Spears in November when she emphasized they had all the money they needed to build a new shelter. The landlord told us he paid $28,000 for architectural plans which were filed with the county, but Jung said the blueprints weren't good enough. "And we could build that," Jung said in November. "Right now we could. We have the permits. We could break ground and we could build it right now. But it's not something that's conducive for the future. It is not something that our community would be proud of." The shelter's tax records from 2017 show net earnings for that year of $766,000. The year before it was $1.069 million. Over the five-year period from 2013-2017 NSPCA took in $10.3 million in public support. Some of that came from April Chandler--a donor and shelter volunteer who fosters hospice dogs and fund-raises for the NSPCA. "I was shocked at the amount of money that they take in per year. It was kind of assumed that they didn't have a lot of money just by the condition of the building and the need of getting medical assistance." Jung has given several reasons as to why the shelter hasn't been built--from architectural design flaws to ongoing negotiations with the landlord. Darcy Spears wanted to talk about that and more, but Jung no-showed for a scheduled interview, then had a public relations firm intervene on the organization's behalf. Ultimately, she met with Darcy off camera and showed their bank statements and the money's there. Darcy told the public relations person, "The board members who I've been attempting to reach out to--two of them so far--are just not responding. And that's going to make the donors and the public even more skeptical about what's going on here." Skeptical because of something else 13 Investigates learned while looking into the NSPCA president's past. Kathy Jung, also known as Kathlene T. Pullman, is a convicted criminal. She was charged with 63 counts of felony theft in 2004 for embezzling her employer's money when she worked as controller for Budget Rent-A-Car and Sales. Court records show she converted company checks into cashier's checks to pay personal debts including loans and credit card bills, even bought herself a car. In 2005, she pleaded guilty in exchange for a suspended jail sentence and probation on a lesser charge. She had to pay $285,000 in restitution. That was 14 years ago. Now, she handles some of the NSPCA's money and IRS records show she's in charge of the shelter's books and records. Kathy admitted that she never told the NSPCA board of directors about her criminal past. The president on the Nevada SPCA, Kathy Jung, has dedicated her entire life to the animals and the community, providing a service that is desperately needed for so many animals that are suffering. As president, Kathy volunteers in excess of 40 hours a week and receives no salary for her time. No matter what time of day it is, Kathy is available and ready to jump into action and do whatever is necessary to not only save the lives of these animals, but to ensure, without a doubt, that they will get their best chance at a fulfilling life. In the past 12-14 months, Kathy has spent countless hours working on the future of the Nevada SPCA by consulting with experts to figure out the best solutions for orchestrating construction of the new campus. This new campus will be the 25-plus year future of the shelter, and Kathy plans to do everything in her power to strengthen the organization and bring it to a whole new level. Recently, the Nevada SPCA has been made aware of a criminal issue in Kathy's past that occurred some 17 years ago. While the Nevada SPCA is currently looking into the details of this matter, the Nevada SPCA has no reason to believe that Kathy has been involved in or in any way committed any impropriety during her tenure with the Nevada SPCA. In addition to the board's financial oversight, we have internal safeguards in place as well as independent bookkeepers, accountants and auditors to help provide financial oversight of the Nevada SPCA. Nevertheless, the Nevada SPCA is in the process of taking a thorough look into this matter." Former volunteer Kara Matthews has also asked the IRS to look into it. In December, she filed a formal complaint alleging "Deceptive or improper fundraising practices." April Chandler and other donors are so concerned about how money's being handled that they've stopped donating to the NSPCA. "When you have the responsibility of a million-dollar rescue, integrity, your word, honesty, all that is very important" April said. "You need to let the community know that they can trust--that you can be trusted with the funds that they have donated and with these animals' lives. I mean, they're so innocent. They're the most vulnerable. And so you need to have integrity! You need to be transparent!" The Nevada SPCA relies on volunteers to walk and socialize dogs who can spend years locked in kennels at the no-kill animal shelter. But some, who've reached out to 13 Investigates, say secrets at the shelter are putting people and animals at risk. "I reached down to give it a treat and it went after me," says Harold Street. "The blood was all over the place and they couldn't stop the bleeding." Harold is a current volunteer for the Nevada Society for the Prevention of Cruelty to Animals. He's been walking dogs there once a week for three years. In late September, he was attacked by this dog he was walking. "I had 10 stitches here, two stitches there. My thumb you can see is just healing now--it's growing out," Harold explains. "The thumb was half cut off there." Our first story detailed the injuries volunteer Joann Phillips endured by another NSPCA dog . Just like the dog that attacked her in the spring, the one that attacked Harold in the fall had a history of biting. In both cases, the NSPCA knew about it but didn't tell them. Darcy: "One of the board members told Animal Control that they had gotten the dog in May and that since then it had attempted to bite multiple people when being walked or restrained." Harold: "I found that out after the fact." In June, shelter notes provided to the county show the dog was being put up for adoption with no notation of a bite history. Jim Andersen is Chief of Animal Control. Darcy: "What does that say about how they're evaluating and keeping these dogs?" Jim Andersen/Animal Control: "Certainly best practices are to ensure that you don't have an animal that is aggressive that is being adopted out." I asked Harold about his incident. Darcy: "They even said the dog was put on a quarantine on July 25 for biting a customer while he was trying to grab the leash. All of this happened long before you got attacked?" Harold: "Yeah, it was never brought to my attention." 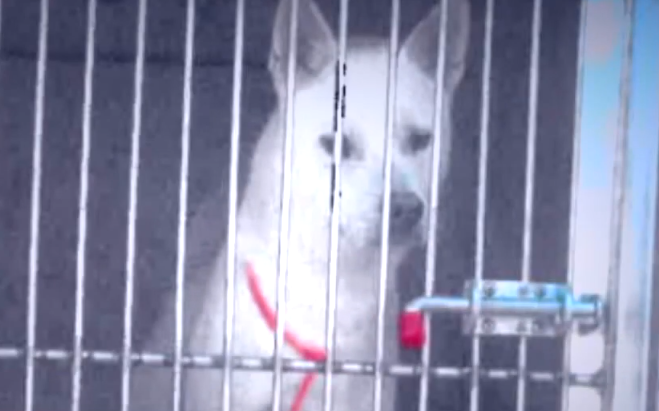 Animal Control took the dog and it was euthanized. "They should have said something," says Harold. "The dog never should have been out." NSPCA President Kathy Jung no-showed for our scheduled interview. Since then, we spoke off camera and she says there was a separate card on Haku's kennel noting he was "treat aggressive." But we've seen no proof of that. And it's not documented in Animal Control's records from the bite investigation. In the kennel card from county records, there's no notation about the dog being treat aggressive. As for whether kennel conditions have improved overall, Jim Andersen says since our investigation began, change is afoot and one of his officers says the dogs are benefiting. Andersen says since our investigation began, change is afoot and one of his officers says the dogs are benefiting. "A lot of clean bedding, newer products were in there," says Anderson. "All clean water, food, he [Animal Control officer] noted the dramatic improvement from his last inspection, while still noting some deficiencies that needed to corrected." So there is some good news, but jung didn't even show up to talk about the positives. For Harold, Jung skipping out on our interview raises more questions for him. Like why the dilapidated shelter hasn't been replaced with a long-promised new building. Darcy: "They told us they've got all the money they need to build it." Harold: "Well, (he laughs) they tell a different story to us." With his bite wounds still healing, he wants to continue helping the animals, but believes he'll be blackballed for speaking out. Darcy: "You think that just because you share legitimate concerns they're going to tell you thank, but no thanks?" Harold: "Don't come around, yeah." Darcy: "What does that say?" Harold: "That says we're hiding a lot and we don't want the public to know what we're hiding. There's something wrong." My investigation continues as we try to track where the money is going, why the new shelter hasn't been built and what's lurking in the NSPCA president's past. Join me for that tonight at 11. We told you about some disturbing allegations made against the Nevada SPCA (NSPCA) last November . Now we've uncovered new information about the condition of the kennels at the facility. I tried to get answers from the president of the NSPCA but Kathy Jung failed to show up for a scheduled interview. In an effort to represent the shelter's point of view, you will see some quotes from our November story. "It's not fair to the animals and it's not fair to us, the public, because we are donating this money to help these animals," says long-term volunteer Kara Matthews. Matthews has volunteered at NSPCA for six years. She's not the only volunteer leaving the NSPCA. "I'm very upset that we've lost a lot of good volunteers. We're losing more than we're getting," says April Chandler. April, who donates money, fosters hospice animals and helps fund-raise for NSPCA says volunteers are thrown out if they ask questions or raise concerns. "It's lately been something very different than when I first started volunteering," Chandler explains. NSPCA has a noble mission, but Chandler says it's become surrounded by secrecy, unanswered questions and lies. "Well, there are some drains in the back kennels that aren't working," NSPCA President Kathy Jung said. Volunteers provided pictures from years past of dogs standing in sewage, their paws covered in feces. When I interviewed Jung in November, we saw sewage hoses running through dog kennels and wastewater emptying into a ditch right behind them. At the time, Jung told me, "We did get the Health District to come take a look at this and they were fine with the way we're doing it." Turns out, that was not true. I sent the Health District my story and the next day, they sent the NSPCA a cease and desist letter. They also provided emails noting a temporary fix was approved in 2016 pending the shelter remodel--which still hasn't happened--but wrote, "...we did not approve conditions depicted in the video." The November 26th cease and desist letter notes "...illegal dumping of wastewater, animal feces, urine and hair" that had been going on for years. Inspectors following up on my report photographed the back of one kennel covered in feces and wastewater leaking onto the ground. When we spoke to Jung before that, she told me it would be resolved when the long-promised new shelter was built. Darcy: "You don't want to keep doing it that way with the new facility?" Kathy: "No! Of course not! Oh my gosh, no!" I learned it didn't have to be like this at all. After the Health District forced a fix, county records show all it took was paying a plumber to clear clogged drain lines. That was done by the end of December. All Kathy Jung would say about it when I questioned her on the phone was to reinforce that it's been fixed. This is just the beginning of a in-depth story I'll be telling you all day as I reveal new and disturbing details about the NPSCA. We previously reported on a volunteer severely mauled by a dog with a history of biting no one at the shelter told her about. Now, we've learned that's happened again to another volunteer. I've also been following the money trail and uncovering a bombshell in the president's past.